Scones with jam and whipped crème fraîche, shortbread cookies, eccles cakes, cucumber sandwiches and all of the tea you can drink. What better way to spend the morning with any one of your favorite moms than at a proper elevenses? 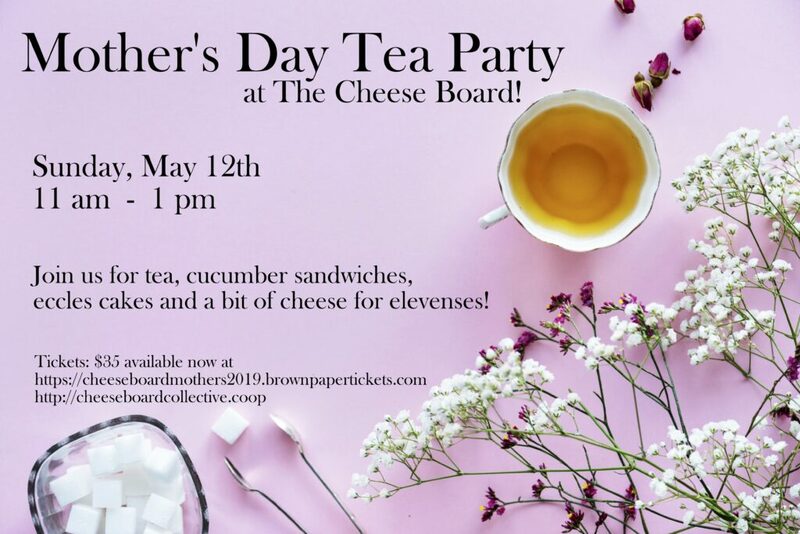 Join us at the Cheese Board for our annual Mother’s Day Tea Party. Fancy hats optional but highly recommended.